Sovereign Pest Control’s Organic Product Policy is our commitment to operating all aspects of our business in an environmentally responsible manner. Examples of our Organic Product Policy commitment include programs to reduce the use of paper products, recycle paper products, and investments to lower our energy use. We are also committed to performing effective termite and pest control services with the efficient use of chemicals and pesticides. We believe that our Service When You Need It philosophy balances effective pest control with environmental responsibility. 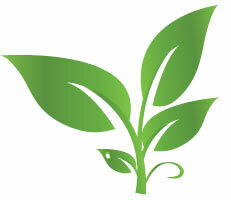 As part of our pest control services, we do offer and have organic products on hand. Upon customer request, we will use organic products if our technician determines that the organic products will be appropriate and effective for a particular pest infestation. If our technician determines that the organic products are not appropriate, then Sovereign Pest Control will use synthetic products for the appropriate treatment as per the terms of our service plan agreement. The 100 percent money back guarantee for our service agreements applies if Sovereign Pest Control cannot substantially control a particular pest infestation. We offer no guarantee to only use organic products.